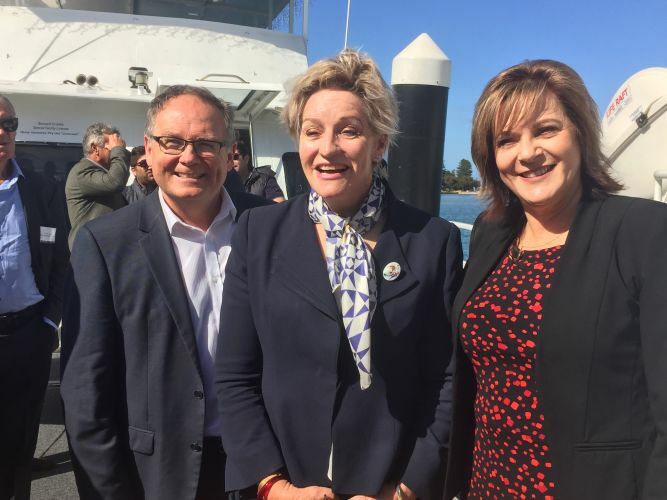 Mandurah MLA David Templeman, Regional Development Minister Alannah MacTiernan and Murray-Wellington MLA Robyn Clarke in Mandurah. SEVEN Peel projects will receive more than $850,000 in State Government Regional Economic Development Grants. The aim of the grants program is to drive new tourism opportunities and diversify local agriculture. Improving the tourism experience in the Peel region is a major focus of the first round of RED Grants. The State Government will also invest $100,000 in a Mandurah Cruises project to purchase a second boat for its Wild Seafood Experience tourism product, expanding their potential tourism market. Dwellingup’s Forest Heritage Centre will receive $135,000 for upgrades at the Jarrah Forest Lodge, to enable YHA accreditation and an increase in bookings to secure Dwellingup’s future as a tourist hotspot. In agriculture, ManukaLife Pty Ltd will receive more than $120,000 to trial the production of Manuka essential oil in a broad acre farming environment to determine the economic viability of commercialising the industry in WA. Funding has also been allocated towards developing Capogreco Farm’s export-ready cooling systems, relocating a plastic manufacturing business to Cardup and developing a paint yard in Mandurah. Regional Development Minister Alannah MacTiernan said the Peel region was growing rapidly and our Government is driving new job opportunities in tourism, agriculture and manufacturing. “These RED Grants will help to put the Peel region on the national and international tourism stage, showing off the natural attributes of the region – both coastal and in the stunning inland forests,” she said. “The RED Grants provide the opportunity to focus on community-led projects which will boost our regional economy, create jobs and add vibrancy to towns. Mandurah MLA David Templeman said the investment would help to drive new opportunities for Mandurah businesses and create jobs for Mandurah people. “Supporting water-based tourism operators gives us the opportunity to show off the Mandurah we know and love to the rest of the world,” he said.